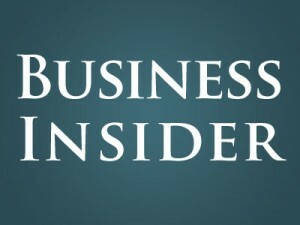 “Business Insider” has a piece on Ivy League admission reactions shared in the Twitterverse. We came across an article up on “Business Insider” entitled “High school seniors’ reactions to Ivy League admissions ranged from joy to gallows humor” and we figured we’d share our two cents on the piece. The article focuses on Twitter reactions of students who both did and did not gain admission to Ivy League colleges a couple of weeks ago. Yes, students who were admitted to Ivy League colleges — as well as students who were denied admission — felt the need to share this news with the Twitterverse. Oy vey is right. Do Ivy League admission reactions really need to be shared with the world on Twitter? Think about the folks who didn’t get in. We’re glad to see no student of ours featured bragging about the schools they got into in this piece. Frankly, they know better. 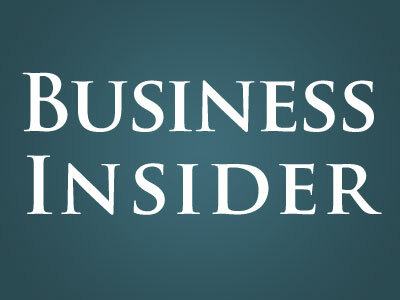 Marchelle Lundquist (hey, she put her name out there into the universe and “Business Insider” wrote about her so we sure can too!) Tweeted, “I GOT INTO COLUMBIA UNIVERSITY! I’M CRYING #Columbia2019.” Oh, and her Tweet also included four blue hearts. And, yes, the blue is the Columbia blue. A little on the nose? Maybe a touch. Ana Montalvo shared her congratulatory email from Harvard College on Twitter. Remember the days when families would just share in this moment together…without the rest of the world? We do! Our favorite Twitter comment featured in the “Business Insider” piece comes from Troy Rothschild. Troy Tweeted, “So proud to say I’ve been admitted to Harvard class of 2019! lol jk we going to Bucknell.” Yeah, we is. Love it, Troy. We like your sense of humor. And Josh Hughes had a good zinger too. The young man from Iowa Tweeted, “Chocolate milk will never reject you #protips #IvyDay.” No, chocolate milk will never reject you. We happen to love chocolate milk, Josh! Do you prefer to add the splash of chocolate yourself or buy chocolate milk with the chocolate already mixed in? And Trinh Truong, you Tweeted, “I’ve got a serious decision to make. #Yale2019 #Dartmouth19s #Brown2019 #Columbia2019 #Princeton2019.” Must we react? Nora Brown, who Tweeted, “harvard yale princeton class of 2019!!! which to pick?? ?” — not much better. Come on, people! Aim to be a little bit more like Troy Rothschild and Josh Hughes. They know what’s up. Post hoc ergo proctor hoc? What snobs you are! Isn’t your job to support these young adults through the process of Ivy League admission? Then you beat them down for sharing their news. I’m certain that these successful students spend much less time on social media than your writers. How about a congratulations or advice on how to manage if your dream is crushed. Snobs, snobs, snobs! Au contraire. We will have to respectfully disagree. If you carefully read this piece, you’ll note that we are criticizing students who chose to brag about their admissions decisions on Twitter. And we are offering up our support to those students who chose not to brag about their admissions decisions but rather to be funny. And very funny they were. If snob had an opposite in this case, we’d be it. We might suggest that if you’re trying to point out that we’re “snobby” and you’re essentially a person of the people, you might consider writing in English rather than Latin. Also, with respect to it being “our job” to encourage all students in the admissions process, how exactly is this our job? These students who chose to brag about their admissions decisions on Twitter are not our students. Our students would never do such a thing. They know better. These students chose to put their names out there in the universe. They are cited in a major news publication. We’re simply reporting on the piece and their Twitter reactions and encouraging students not to make the same mistakes as they did. So, in the end, we’re indeed encouraging everyone. Thank you for writing in.